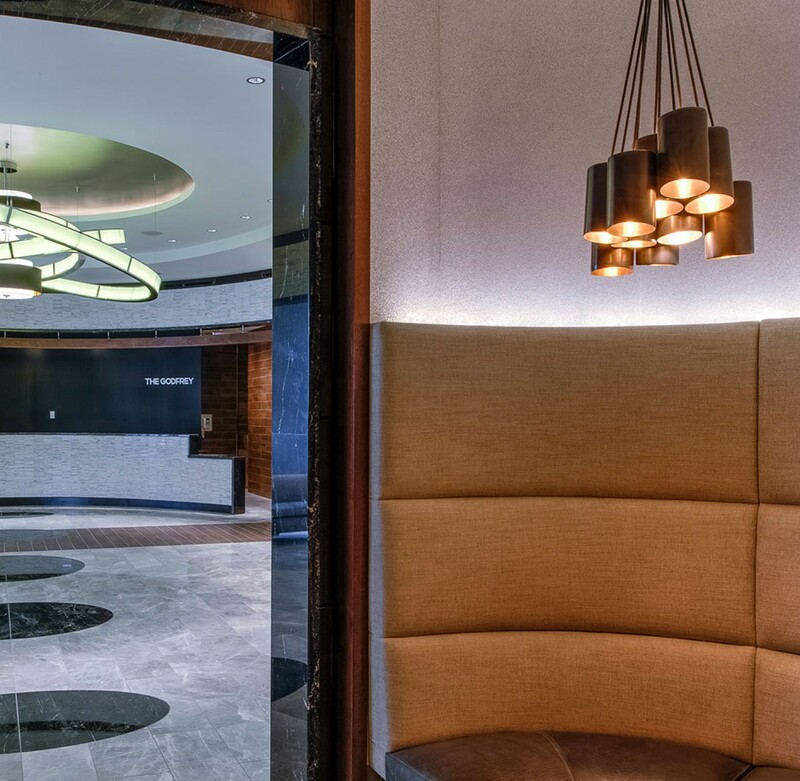 The Godfrey Hotel wasn’t designed to emerge from any particular era of architecture, but rather to exist on a separate timeline altogether, giving anyone wishing to break free of the confines of routine a respite into a vibrant, timeless space. 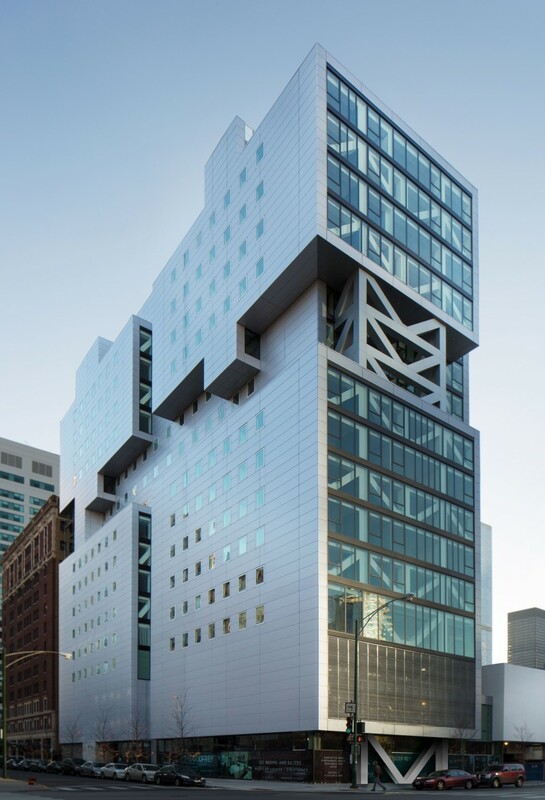 The Gettys Group and Oxford Capital contributed something special to the character of Chicago when we partnered with Valerio Dewalt Train, the architecture firm known for the kind of cubism-inspired design that teleports us beyond the boundaries of our imaginations. 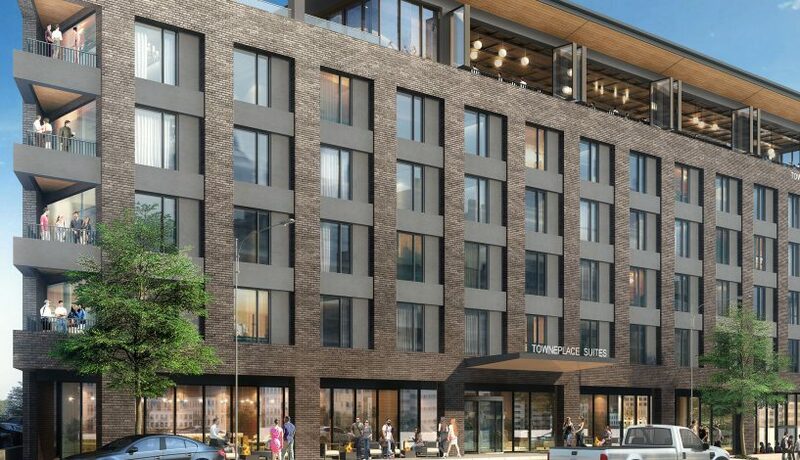 The goal was to transform the building into the Godfrey’s flagship hotel, one that embraced an “upper upscale” lifestyle, which would then be developed in key urban markets across the United States. VDT would finish the exterior design, leaving all of the interior potential to The Gettys Group. The Gettys Branding team held a collaborative ideation workshop with key decision-makers to build the Godfrey Hotel design narrative. Through this process, we developed a deep understanding of the competition, emerging guest expectation and project limitations. 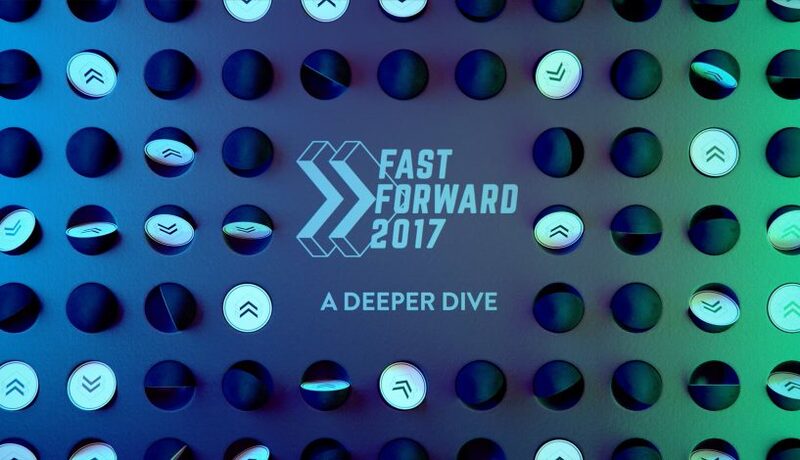 Brand concept guardrails then emerged: memorable and authentic, playful and distinctive, stylish and surprising, vibrant and fresh. Classic men’s suiting, luxury fashion and retail, fine stitching and natural patterns found in leathers all served as visualizations of these guardrails for our interior design team. 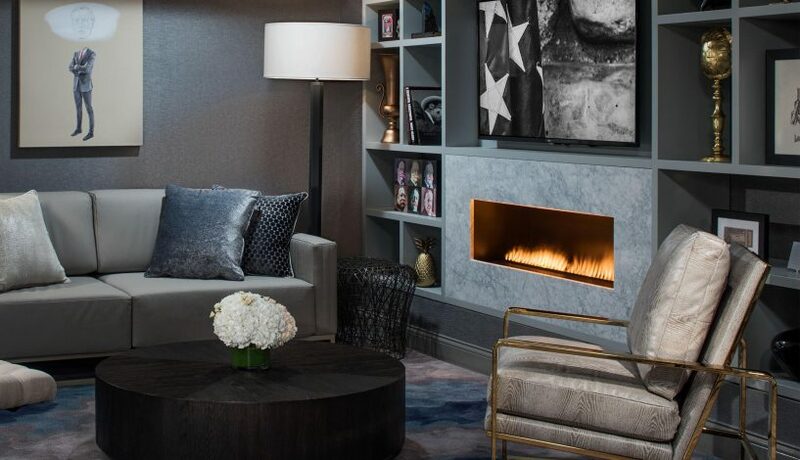 The Gettys Interior Design team synergized this brand concept and design inspiration into a timeless, extravagant experience. 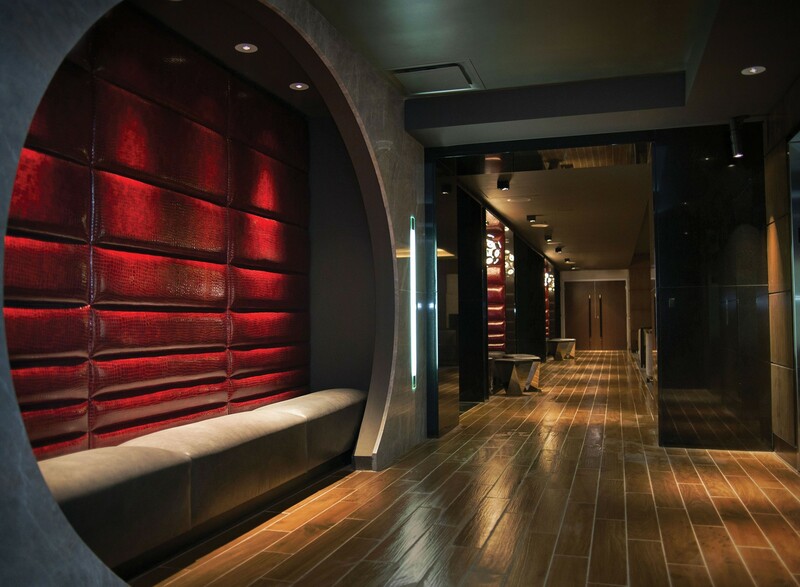 The lobby is ovular in shape, full of natural light and appointed with gleaming marble finishes. Its centerpiece is a chandelier of luminous, off-kilter concentric circles reminiscent electrons rings around an atomic nucleus. In the guest rooms, a comfortable, muted palette offers a calming space that inspires both relaxation and productivity. Strong, clean lines and impressionist art pieces frame the space; large windows, strategically-placed mirrors and lots of chrome make good use of natural light. The capstone of the Godfrey’s memorable opulence arrives in the extraordinary I|O Urban Roofscape. 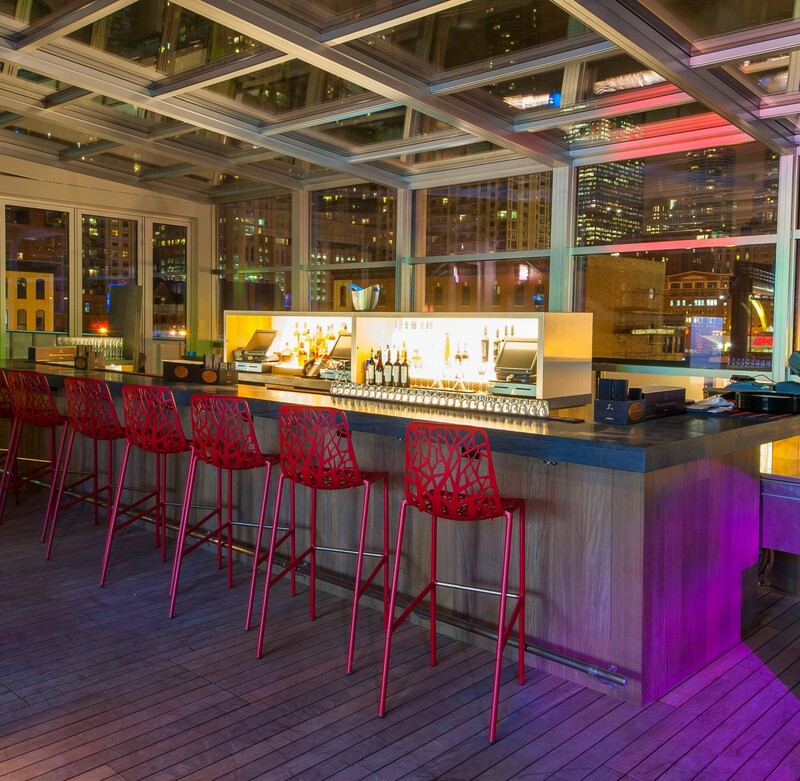 At 12,000 SF, we created I|O to be Chicago’s largest year-round indoor/outdoor bar and lounge. A retractable roof reveals southward skyline views, offering guests direct communication to the urban setting. Eclectic furnishings, colored lights and an outdoor water element built into a two-level fire pit offer up fresh surprises and an abundance of style. The Gettys Procurement team approached this project as a labor of love. 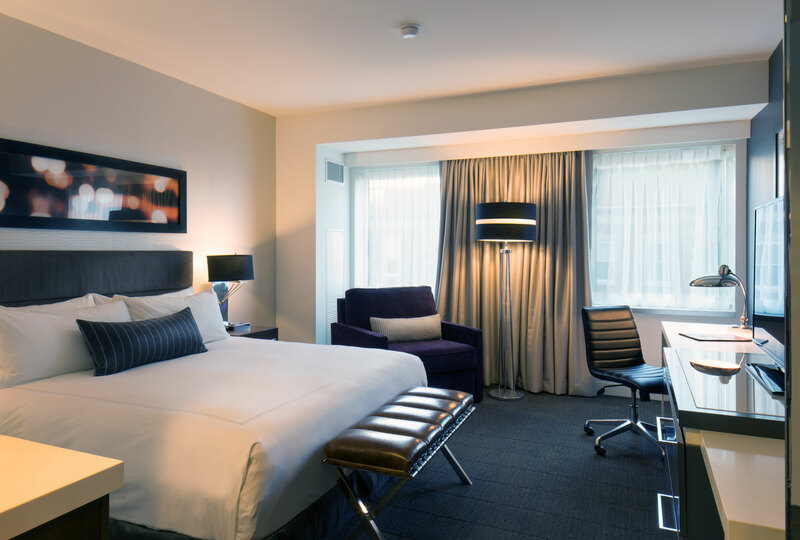 This site shared a city with our home office, so naturally our team spent multiple nights and weekends onsite, giving direction to installers, inspecting materials, checking the progress of rooms, all to make absolutely sure the hotel opened on time. The agility of the team was put to the test when there were some last minute changes to the lighting and specifications for the rooftop, but we made it work, and work well. 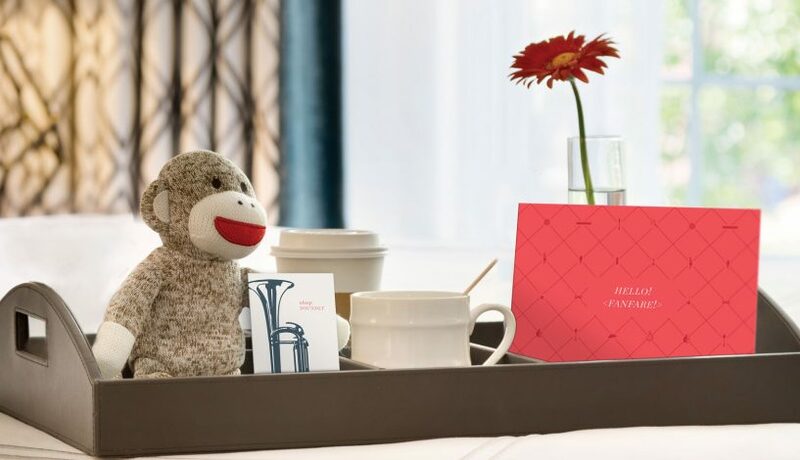 When most brands are hyper-focused on having a local feel, The Godfrey stands out as a 221-room success story, a striking cubist hotel in Chicago’s River North Gallery District that evolved into a distinguishing characteristic of its host city. 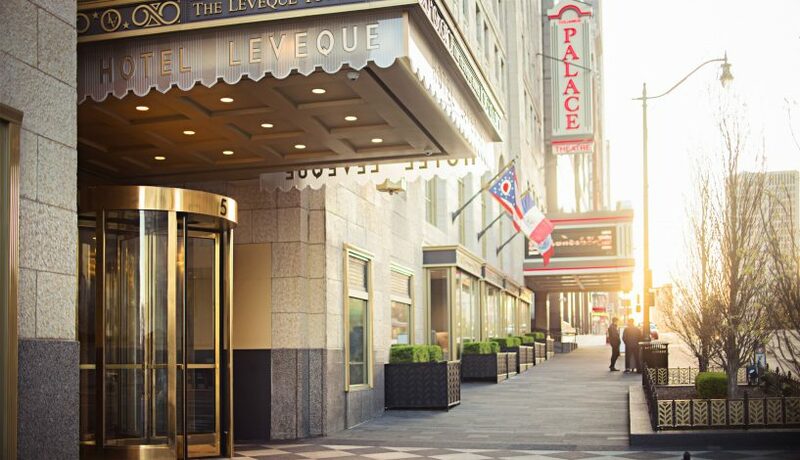 The hotel has been very well received by guests and the River North community alike, and was named #7 in Conde Nast Traveler’s Top 15 Hotels in Chicago.